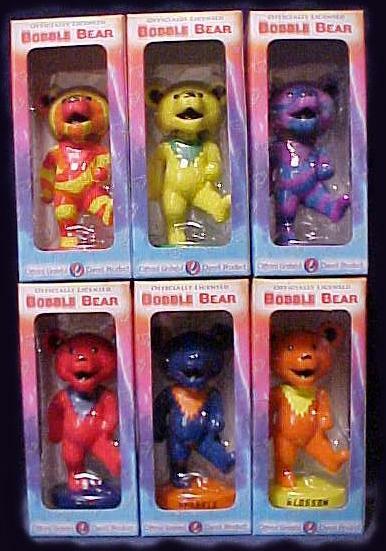 The Limited Edition Bobble Head Bears were released in March 2002. Named from a Grateful Dead song character or related theme. 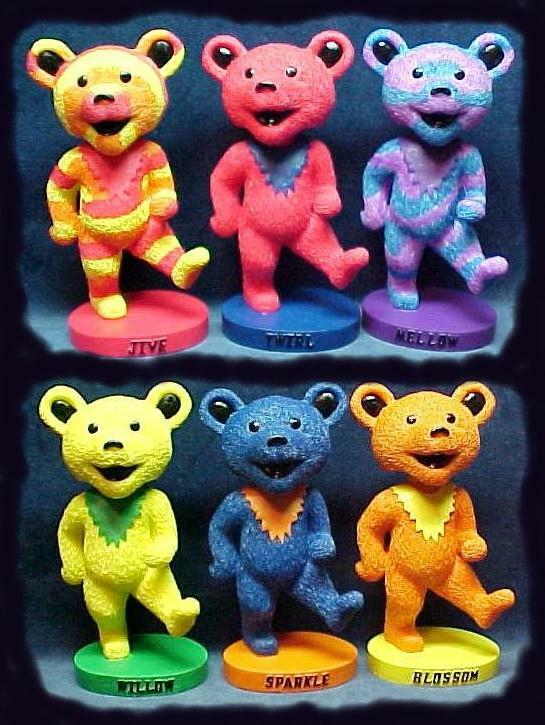 The Bobble Head Bears are constructed from a product called Polystone. This is a heavy synthetic ceramic material. Each bear will come in it's own box. Boxed weight for shipping one bear is 2.2 lbs. Priority mail shipping will be calculated from the total weight on the number of bears you purchase from our Zip Code to yours.